Twenty-six game birds were confiscated and later humanely put to death last Wednesday when officers executed a search warrant at an address in Windsor Park. According to a release from the police about the incident, the DoA Animal and Welfare Unit had received several complaints about animal cruelty at the location. Acting on complaints received from the community, a search was undertaken at the address and the birds were confiscated. The birds confiscated during the operation were later humanely euthanized on veterinary advice, according to the release. A 42-year-old man at the residence was also warned for prosecution for animal cruelty. “From our officers’ observations almost all of the roosters had no access to food and water, and some appeared to be suffering from recent trauma consistent with fighting ventures,” said Brian Crichlow, Assistant Director of the Department of Agriculture. 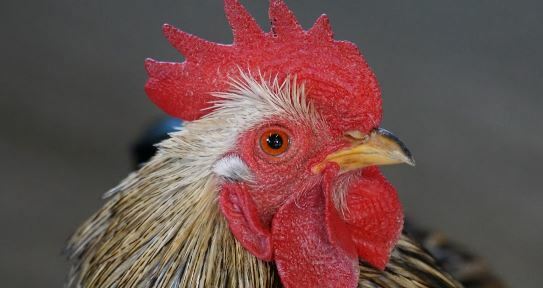 “Cockfighting is brutal, cruel and illegal, and is being treated as the crime that it is.” He added. “This operation was a priority for us not only because of the cruel and illegal activities believed to be taking place but also because it came about in response to community complaints,” Inspector Courtney Myles, Head of the RCIPS Community Policing Department. “When residents identify and share information with us about issues affecting their neighbourhoods, whatever they may be, we will always take concrete steps to address them, together with our enforcement partners,” added Myles. The incident is under joint investigation by police and DoA officers.